The audacious Ubuntu Edge smartphone crowdfunding experience may be dead, but the dream of merging phone and PC lives on. Ubuntu Touch, the form factor-spanning mobile operating system intended to power the Edge, finally has a release date: October 17, alongside Ubuntu Linux 13.10. The news comes courtesy of a Ubuntu Phone team mailing list message by Canonical technical architect Loïc Minier, as well as a blog post by QA community coordinator Nicholas Skaggs. “Only four and a half weeks to go, and phone 1.0 will be a reality!” Minier excitedly exclaimed. The developer version of Ubuntu Touch was released in February and works on Samsung Galaxy Nexus and (now discontinued) Nexus 4 smartphones, as well as the Nexus 7 and Nexus 10 tablets. Don’t expect Ubuntu Touch devices to flood store shelves anytime soon, however. 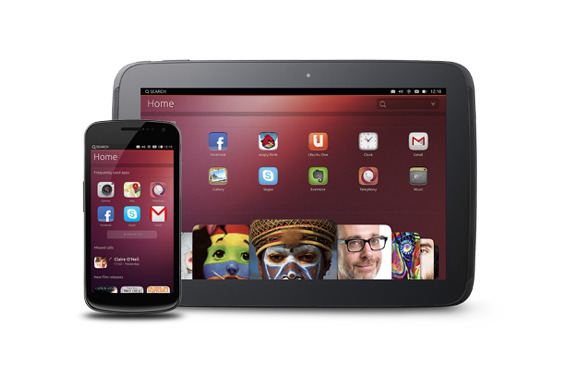 While the version 1.0 image will be available to download next month, Canonical says the first discrete devices running the OS aren’t expected until late 2013 or early 2014. The company said it received numerous manufacturer queries in the wake of the Edge smartphone campaign, which raised nearly $12 million from would-be buyers in $600-ish chunks. In the meantime, adventurous (and technically minded) souls can help out the cause by downloading the developer preview of Ubuntu Touch and reporting any bugs you stumble across. As with any Linux distribution, the development of Ubuntu Touch takes a group effort.